Back in January of this year I published a blog post on the one of the first releases of the Microsoft HTML5 client for Remote Desktop Services (called Web Client). 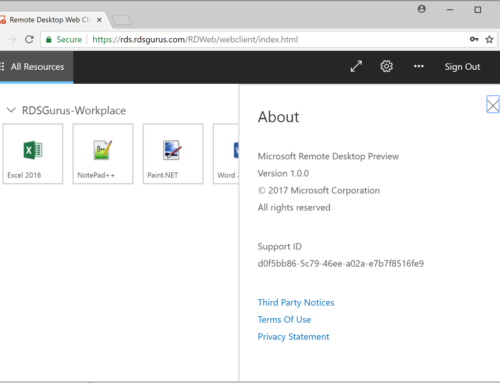 You can find that blog post here HTML5 client for Microsoft Remote Desktop Services 2016: Remote Desktop Web Client. This was based on a preview private that I was part of. I’ve seen huge interest for the HTML5 client, and the client is now officially in Public Preview, ready for anyone to test drive! Does the html5 client always prompt for credentials after login? is there any way to remove this? Any way to bypass the second login prompt?